Cops make fourth arrest in fatal Lyft robbery | Homicide Watch Trenton | Mark every death. Remember every victim. Follow every case. A man who was arrested last week on burglary offenses is now facing murder charges accusing him of being the gunman who shot and killed Amber Dudley during last November’s fatal Lyft robbery in the capital city. 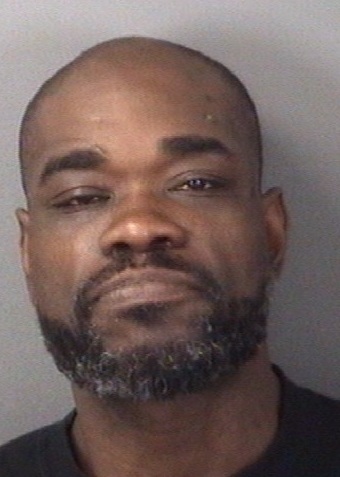 Ronderrick Manuel, 43, of Trenton, is the fourth defendant to be arrested in connection with the murder of Dudley, 27, of Collingswood. The other defendants, however, have been charged with accomplice liability murder. Mercer County Prosecutor Angelo Onofri on Monday evening announced police have captured Manuel and charged him as the principal actor, charging him with murder, felony murder, robbery, possession of a weapon for an unlawful purpose and unlawful possession of a weapon. Manuel was taken into custody Sunday night in Trenton by the U.S. Marshals’ New York/New Jersey Regional Fugitive Task Force, according to the prosecutor’s office. Ewing Police arrested Manuel last Thursday on burglary charges after a business on Calhoun Street reported hearing someone in the unoccupied portion of the building. The other co-defendants charged in connection with the murder of Dudley are Andrew Alston, Kasey Dezolt and Dominique Richter, all of whom remain incarcerated at the Mercer County Correction Center as they await trial. Dudley was a passenger in a vehicle operating under a rideshare service that was lured to Trenton on Nov. 30, 2016. Prosecutors say their investigation has revealed that when the Lyft vehicle was in the area of Mechanics and East Trenton avenues shortly after 7 p.m., a man identified as Manuel got inside attempting to rob a male passenger when his gun discharged during the confrontation, wounding Dudley with lethal injuries that eventually led to her death.